Molded tab on ChargeConnect plug locks into place with a simple snap. 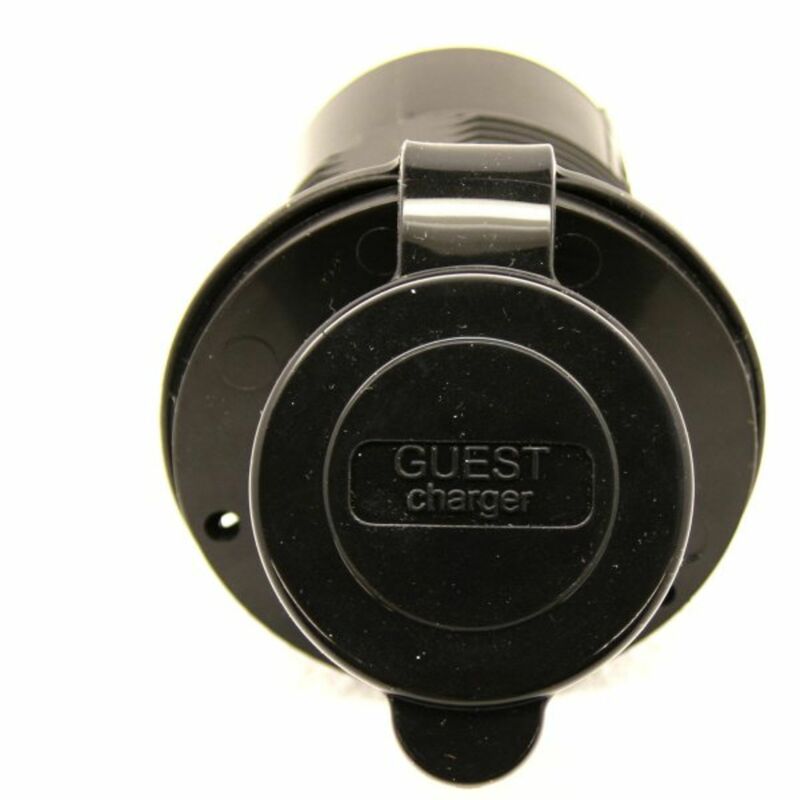 The Marinco Connect-Charge inlet is a receptacle designed to accept plug-in Marinco Guest ConnectCharge on-board battery chargers. 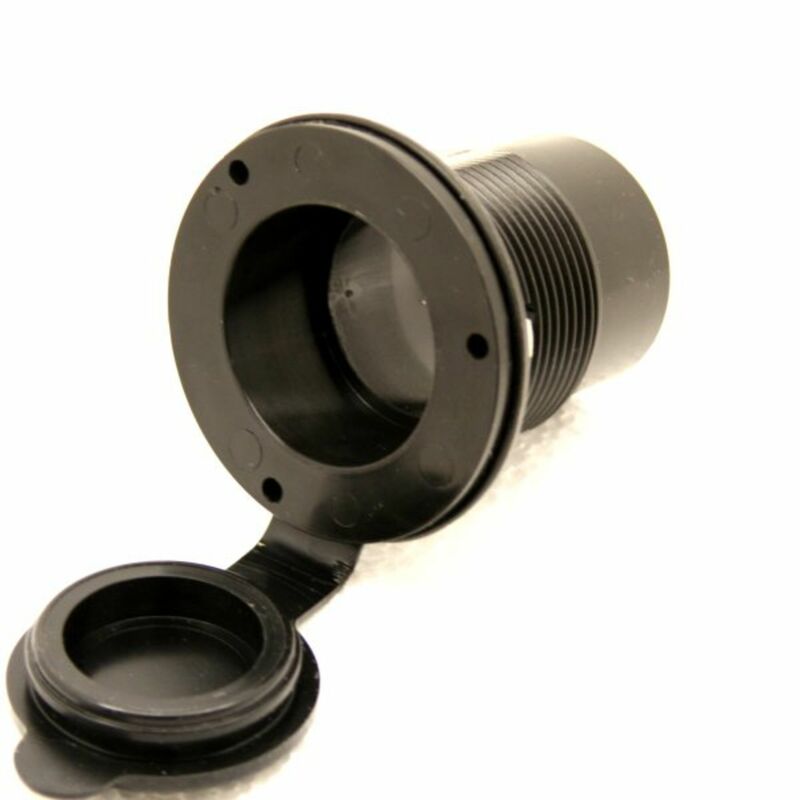 This model features universal mounting: use three screws through the faceplate to mount it from the front or use a threaded locking ring to mount it to the dash from the rear. The watertight lid snaps closed to protect the chargers AC plug. Surface Mount or Rear Mount with locking ring. Allows you to plug into your charger with a single extension cord, and no loose or hanging connections. Nice clean install for a ultra professional finish. For use with GUEST CHARGE CONNECT plugs only. * Flat Rate shipping is for the lower 48 states only. Do you own the 150CCI? Please, tell us what you think about it. It helps us provide you with better products. Please note that it may take up to 72 hours for your review to appear.